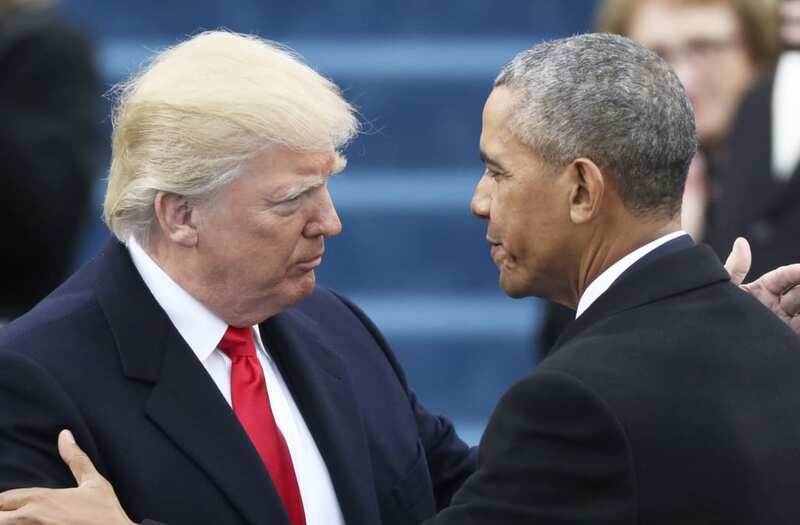 President Trump spoke in a FOX News interview that aired on Sunday about his relationship with former President Barack Obama, saying Obama has "been very nice to him." "He's been very nice to me personally," Trump told Fox News' Jesse Watters. "While he's nice personally, there doesn't seem to be a lot of nice things happening behind the scenes, and that's unfortunate." Earlier in March, President Trump accused Obama of wiretapping his Trump Tower penthouse in New York -- and at the time referred to the 44th president as a "bad (or sick) guy." Trump went further in stating Obama has been "nice" to him during his FOX News interview, emphasizing the difference between Obama and "his people." "He's been very nice to me personally, but his people haven't been nice," Trump said. "And there's great animosity out there. There's great anger." As these Trump wiretapping allegations unfolded, Obama was reportedly quite displeased with the claims, according to multiple reports. According to NBC News, Obama reportedly "rolled his eyes" at President Trump's claims. Alyssa Mastromonaco -- former deputy chief of staff under President Barack Obama -- described during in an interview on Monday Trump's first 100 days in office as "pretty uncommon," and shined light on how the former president's staff feels about Trump's wiretapping claims. "It's insane. It's an insane accusation," Mastromonaco said. "It's an insane accusation for a president to accuse another president of, and also anyone who knows Barack Obama knows he wouldn't do that." "I don't know how angry he is," Mastromonaco said when asked if she knew how Obama felt about it. "I know the rest of us are pretty pissed." During a public House Intelligence Committee hearing on Monday morning, both Rep. Adam Schiff and Rep. Devin Nunes again affirmed that there is no evidence that Trump Tower was wiretapped by Obama camp.